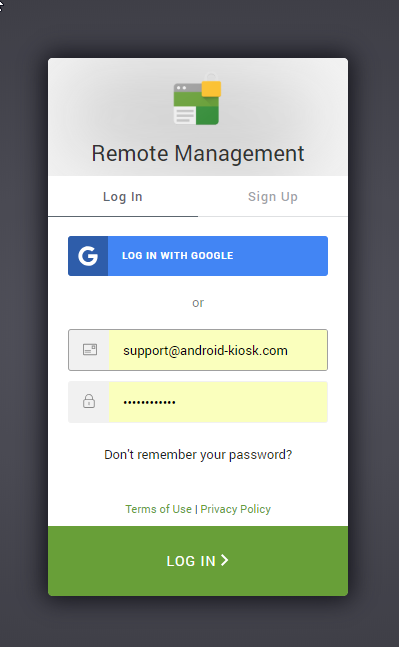 You can reset your password by going to the Kiosk Browser Remote Management login page. Click Don&apos;t Remember your password? 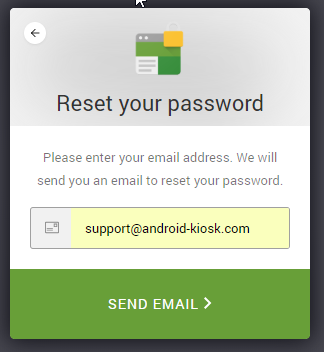 Enter your email address and a reset link will be emailed to you. If you are using "login with Google" and you have forgotten your Google password you will need to follow Google&apos;s password reset procedure.